There are 267 world entities. Each one has a history, people, government, and economy. The Central Intelligence Agency (CIA) aims to summarize that information in just a few pages. The World Factbook, prepared by the CIA using information from a half-dozen cabinet-level agencies, profiles basic intelligence on all areas of the world. GPO makes available the latest edition of the U.S. government’s complete geographical handbook. This U.S. has been involved in basic intelligence gathering since the days of George Washington. As for the World Factbook, its beginnings predate the establishment of the CIA itself. During WWII, military decision-makers lacked detailed and coordinated information. So, they initiated a joint effort to collect and publish strategic intelligence. That information remained classified for nearly two decades. According to the book’s own brief history, “the first classified Factbook was published in 1962, and the first unclassified version was published in June 1971.” Since 1975, GPO has made the almanac-style resource available to the public writ large. The World Factbook is an encyclopedic listing of each country’s society, geography, energy, communications, transportation, military, and transnational issues. 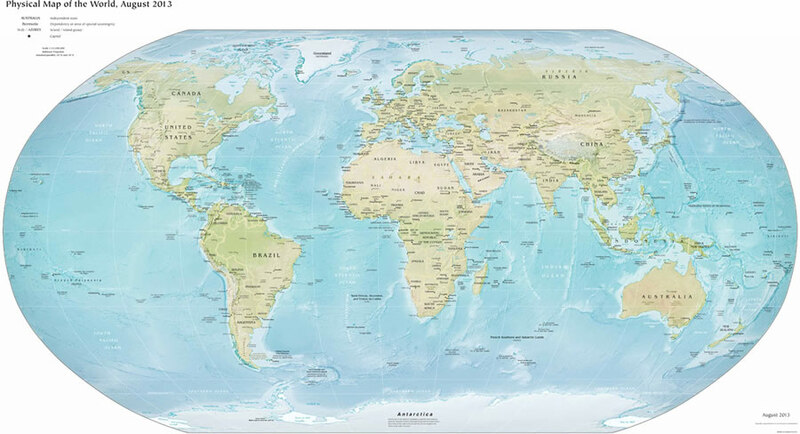 It includes full-color maps of the major world regions including physical geography, political capitals, and world oceans with major shipping lanes, ports and checkpoints. The CIA World Factbook covers Afghanistan to Zimbabwe and every country in between. Ethiopia is the most populous landlocked country in the world. Reykjavik, Iceland is the northernmost national capital in the world. Indonesia is the world’s largest country composed entirely of islands. Uzbekistan, along with Liechtenstein, is one of only two “doubly landlocked” countries in the world i.e., a country that is surrounded by landlocked countries. Tonga remains the only monarchy in the Pacific. The temperature in Aruba is almost constantly 81 degrees Fahrenheit (27 degrees Celsius). The Factbook’s current and actionable intelligence isn’t just for national-level policymakers. It’s a reference resource for everyone. The CIA World Factbook is “the indispensable source for basic intelligence,” the sort of world knowledge that can have a significant impact on people’s lives. HOW DO I OBTAIN THE WORLD FACTBOOK 2016-17? You know you just sang the title of this blog. Now that I have your attention, let me tell you how you can have the whole world in your hands. Pick up the latest edition of The World Factbook 2013-14, currently available from the GPO Bookstore. Jam-packed with a plethora of information, it’s a one-stop reference for everyone from the youngster who has a geography project to a college student researching the economic climate in other countries. It is prepared by the Central Intelligence Agency. The first unclassified version of the Factbook was published in 1971. In 1981, it officially became The World Factbook. The World Factbook 2013-14 provides the latest statistical facts for 267 countries and regions around world. Each entry begins with a small black and white map of the country or territory. It goes on to give a brief background introduction, the geography, people and society, government, economy, energy, communications, transportation, military, and transnational issues. The publication also contains maps that present the physical features and political boundaries of each nation, as well as, the standard times zones of the world and the official flag of each country. 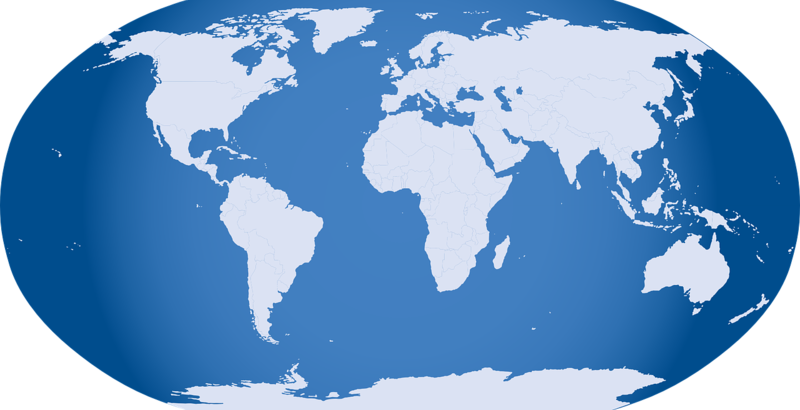 This image of the Physical Map of the World is one of several maps included in the World Factbook. Other interesting facts, as well as recent updates to various categories and maps can all be found in the World Factbook 2013-14. Take a journey into the Factbook to learn what you didn’t know about the world we live in. HOW DO I OBTAIN THE WORLD FACTBOOK 2013-14? About the author: Faith Johnson is an Outreach and Support Librarian for the U.S. Government Printing Office’s Library Services & Content Management division. Additional content, images and editing provided by Trudy Hawkins, a writer and marketing specialist in GPO’s Publication & Information Sales Division supporting the U.S. Government Online Bookstore (http://bookstore.gpo.gov).